A Western JRig is probably one of thee most impressive boats. First of all, it is a motor rig so it has a motor on the back but it isn't loud. Some people think they are going to hear a motor constantly and I often get people come back and saying, "wow you can't really hear this motor much at all." That is a great benefit because you not only have this quiet motor but you are able to go down the canyon and a little bit faster pace so that you can stop at places and maybe get there first when no one else is around or stay there a little bit longer at these amazing side canyons or stops. People love the JRig because of everything it can do. It's like Mary Poppins' bag, things just keep coming out of it. And you don't know here they can keep all that food, but there it just keeps on coming out. And when you're on it, you can walk around. It's like a little floating island, you know? You might as well be Gilligan, just having a great time. You can get the exactly what you want on a J-Rig and I think thats why people really love it. I think that the JRig gives people the opportunity to experience white water in a completely different way. It provides people the leisure of walking around and enjoying themselves comfortably while we are motoring through flat water. And it also give them a wild ride while they are going through the rapids. I believe the Western's rig is one of the best rigs in the canyon. The JRig carries a lot of gear, we can travel quite comfortably, our camps are very well stocked and we carry a lot of gear so we can make the camping trip comfortable and a lot of fun for people. Western is the only company that used the JRig and it's a unique boat set up for safety, most importantly. But it can also carry a lot of extravagant gear, which makes the camping trip quite nice. 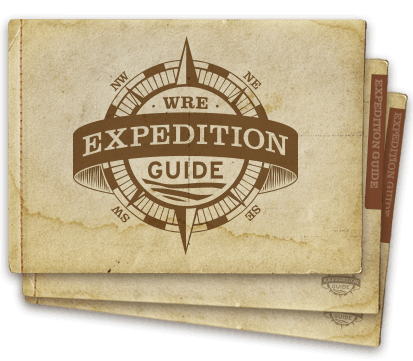 Western River Expeditions guides and guides describe the one-of-a-kind JRig raft, a patented boat used exclusively by Western River. See why so many feel that this raft offers the most comfortable and flexible ride in Grand Canyon.